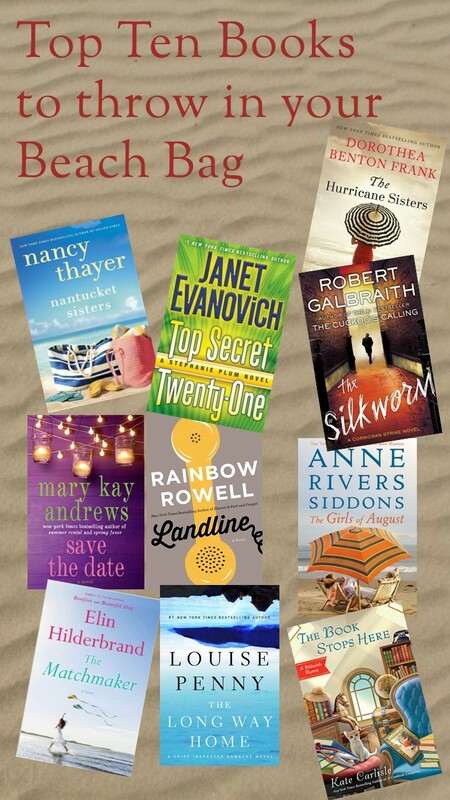 This week’s challenge is to list our top ten beach reads. We usually vacation at the beach for a week each summer and pre-Nook I was always the one with an entire suitcase of books! Given the rising cost of checking luggage my Nook is well-used on vacation even if it remains untouched most of the rest of the year. These are the types of things that I like to load onto my Nook before we hit the road! Cozy Mysteries – Fun and light mystery series that are a quick read, a return to familiar characters, knowing that the bad guy will get caught by the inept amateur detective in the end! Old Favorites – Time on the beach is a great time to revisit old favorites – you already know that you love it so I chance to re-immerse yourself in that favored place is always welcome. New Releases – Whatever is on my “just released and I must read it immediately!” list. Young Adult Series – There are a lot of really fun YA series out there that I just don’t have time to read day-to-day and vacation on the beach is the perfect chance to whip through an entire series! To-Read List – All those books that I’ve really wanted to read for a long time but have never gotten around to – sitting on the beach is a great time to start working on the list! ARCs – Advance Review Copies – books that are coming out soon that I want to review for purchasing at the library or for my blog. Whatever my kids are reading – My kids are both voracious readers and I like to be able to share in what they are experiencing. 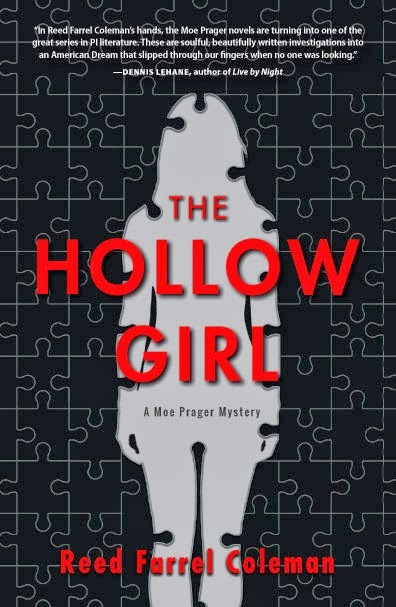 Paperbacks – If it’s not on my Nook it’s usually a paperback – and nothing spectacularly significant – just some fun read – a cover or title that caught my eye – thrown into my beach bag. So this week the challenge is to create a list of the books that you read when you need to read something light and fun. My list consists mostly of series and genres that I enjoy in between reading more serious fare, they are always a quick read, enjoyable, leaving me ready to tackle something else. Stephanie Plum series by Janet Evanovich – My husband always knows when I am reading one of these novels, since this is the one series, without a doubt, that always makes me laugh out loud. Cozy Mysteries – I am a huge fan of mysteries of all types, series, standalones, fluffy mysteries, and more serious fare. In the cozy genre some of the authors I go to for a quick and fun read include Alexander McCall Smith, G.A. McKevett, Laura Childs, Kate Carlise, Sue Grafton, Carolyn Hart, Joan Hess, etc. Not-So-Cozy Mysteries – There are some mystery series that I read that I definitely do not consider light & fun, but that provoke greater thought (Louise Penny, Reed Farrel Coleman, Donna Leon) and require greater commitment from me as a reader. There are however, a number of darker mystery series that I still consider light & fun reads from the pens of such authors as Lee Child, John Sandford, Jonathan Kellerman, etc. SOME YA series – I want to be careful here, because while there is plenty of light and fun reading in the young adult genre, there are also stark, dark, and difficult novels as well. But I have had fun breezing through a number of YA series including The Hunger Games, Immortal Devices, The Iron Fey, Artemis Fowl, Harry Potter, Pendragon, etc. Beach Books – You know the books I’m talking about, those great covers showing beautiful beaches and picnic baskets – a chance to get lost in some seaside town where you know the ending is always going to be happy and true love will always prevail. SOME Juvenile fiction – Like the YA category, this is another category where there is plenty to be found that is serious, but there is also a ton of fun stuff out there with great humor about growing up, families, relationships in school, and friendship. My Fun Stories to Share post has some of the recent favorites that I read with my kids. Odd Thomas series by Dean Koontz – While this series can be dark and disturbing at times, I always love the quirkiness of Odd which lends levity to otherwise dire situations. Little Women by Louisa May Alcott – A childhood favorite, one that I try to re-read every now and then, it is always comfortable and brings me back to my teenage days when I wished to be Jo. So this week the challenge was to list the top ten phrases or words that draw you to a book – that cause you to pick-up a book at the library or buy it at the bookstore. The Beach – If I could spend my days on the beach, watching the ocean (no matter the weather) with a book in my hand I would be exuberant! Ireland – The only Irish thing about me is my husband, but I love to read about Ireland, whether it’s a story of work-weary folks struggling to survive or a story of mysticism and belief, it always seems to be a world in which I become engrossed. Italy – Although I’ve never been there, I love books about Italy – the art, the music, the architecture, the history, the food… I really need to plan a trip! Food – I love books about food, especially those that so artfully describe the art of creating it and the joy of consuming it. I love to cook and while these books always make me hungry, they also inspire me to try new culinary creations of my own! The South – Maybe it’s because I’ve spent most of my life shivering in upstate NY, but I always love stories of the south – the relaxed pace and the warm air. Road Trip – There’s something about the idea of heading out on the road, leaving your cares and responsibilities behind, and heading out on an unknown adventure that is always appealing. Mystery – I admit it, I love a good mystery, and even some not-so-good mysteries – be they thrillers or fun cozy-mysteries I love a whodunit. Founding Fathers – I am always intrigued by our founding fathers and others from the revolutionary time in our country’s history – admittedly Thomas Jefferson, Ben Franklin, and Abigail Adams are my favorites, but I will take more than a passing glance at a book about anyone during that time period. Tech Stuff – Must be the engineer in me still lives on to some extent, I love geek books (maybe not the technical volumes anymore, but still geeky nonetheless) – Skunkworks by Ben Rich and Soul of a New Machine by Tracy Kidder are two that I found inspiring and fascinating.